Of the many announcements expected, one that smartphone enthusiasts will probably look forward to the most is the announcement of the Kirin 980. This processor will come two years after the launch of Kirin 970, the company’s current flagship SoC with a dedicated NPU. Huawei has received plenty of criticism for having a flagship CPU that was not able to keep up with Qualcomm’s flagship. The Kirin 980 is expected to bring a revamped NPU to the mix, along with a significant boost in performance. Huawei is also expected to announce their new business-oriented flagship devices the Mate 20 Pro and Mate 20. Both the phones are expected to sport the Kirin 980 chipset along with the triple-camera setup we have seen on the P20 Pro. Samsung has already unveiled all its flagship smartphones for the year, so at IFA, the company is rumoured to introduce a new 8K QLED television. There might be some other smart appliances being introduced, along with more details on Bixby 2.0. LG generally treats IFA like a big event and takes the opportunity to announce new smartphones, televisions and other smart products at the show. This year, it is rumoured that LG might debut the V40 smartphone at IFA 2018, just like they did with the V30 last year. Additionally, attendees may also get their first look at the LG G7 One and the LG G7 Fit, two smartphones which were announced just a few days ago. It is also rumoured that LG might announce two smartwatches at IFA 2018. Dell is also expected to show case their new Dell XPS 13 in a 2-in-1 flavour, along with a standard variant powered by the 8th generation Intel Core i3 processor, aimed at making the product more affordable. Additionally, there are also new laptops in the Inspiron 5000 and 7000 series to look forward to, both in the 2-in-1 form factor. Dell has also announced a brand new ultra-slim 27-inch USB-C monitor which will be on display. The company is going to be bringing new Vostro 14 and 15 5000 laptops to IFA as well. Sony had announced the XZ2 at MWC 2018 earlier this year and with just 6 months having passed since then, it should be unlikely that a successor is on the brink. However, a leak earlier showed off the potential XZ3 as cosmetically identical to the XZ2, so its possible that the phone has more internal changes than external. HTC has been teasing “Something U” for IFA over the last few days. This could most likely be the HTC U12 Life, a mid-range device that will act as a companion to the HTC U12 Plus. HTC has been struggling to make its impact in the smartphone world over the last few years. Even in India, the company’s operations have ramped down to a bare minimum. Acer has always treated IFA as a venue to showcase some of its finest consumer products. This year, Acer will announce additions to their Aspire 7, Aspire 5 and Aspire 3 series. Additionally, the company will also announce the Acer Aspire Z24 all-in-one PC. 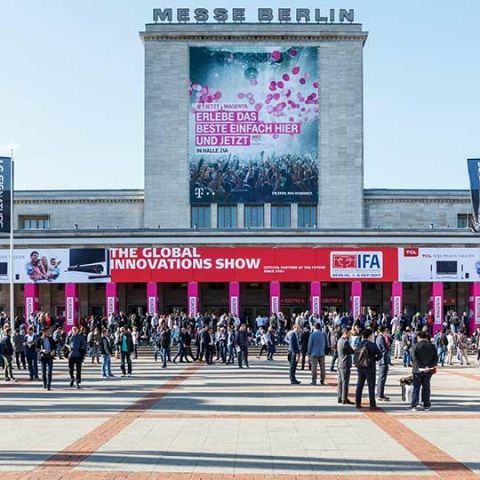 IFA is a massive event happening in Berlin and will probably include announcements from many more companies than those listed above. We can expect something from Misfit, Asus, Panasonic and many other brands.